We could name a 101 reasons why The Abacos are a fantastic dive and snorkel spot, but then it would lose its uniqueness, and its one of those truly beautiful places that underwater enthusiasts can't do justice by chatting about it. One of the main differences between Abaco and many of the other Bahamian Islands is its exposure ; We have are directly exposed to the Atlantic Ocean. 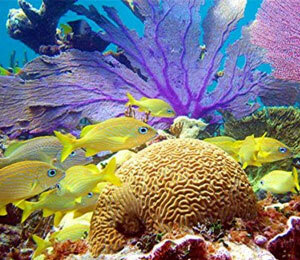 Unlike many other Bahamian Islands, The Abacos has direct exposure to the Atlantic, and the reefs in and around this region look significantly different than other reefs around the country. 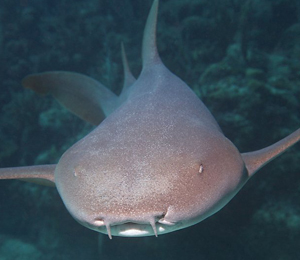 Another unique and fabulous feature, is while most snorkeling locales around the Bahamas are quite deep, The Abacos is considered shallow. This particular is also prone to cooler temperatures during the winter months which are exactly almost too chilly for delicate for corals to survive. But don't worry, you'll still find it quite warm! 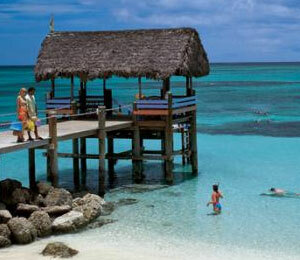 Abaco's fringing coral reefs, ornate, etched and lively, have been attracting visitors for decades. If you look closely at the base of the reef, you'll notice it's been rigorously etched out with the constant tidal flows, which have created a fantastic maze of interconnecting tunnels. For snorkelers, the island of Great Abacos, the largest of the settled islands in the chain, offers a fun on land experience in between snorkeling sessions. As the top destination in the world for sailing, visitors love cruising past the funky candy-striped lighthouse of Hope Town on quaint little Elbow Cay, visiting the mighty shipbuilders of Man O'War Cay, tossing your reel in for some great deep sea fishing or just lounging on the myriad beaches on offer here in The Abacos. Pelican Cays National Park is another great activity to tick off the list, and with all those intimate islets to explore in concert with the array of shallow coral gardens, teeming with tropical species, you'll realize in moments why this is one of the hottest Bahamas snorkeling spots. There are number of protected underwater oases here in The Abacos that are the perfect setting for anyone throwing on snorkeling gear for the first time. The Fowl Cay National Reserve and aforementioned Pelican Cays National Park are often brimming with silver baitfish, and at spots near the edge, you're bound to see a reef shark or two. Consisting of its very own 120 mile long stretch of islands and islets, The Abacos are not just a great snorkeling destination, they're a great place to hang your hat for a week. Great Abaco and Little Abaco are the two main towns in the archipelago, and while they may not have the same hustle and bustle as Freeport or Nassau, visitors can come here to escape the more touristy options, and enjoy life out on the edge. With the Atlantic breeze in your hair every day, and nothing but endless azure seas before, the best way to spend an afternoon here is to grab your gear, hop in a boat, and take yourself on a wild adventure!